•	scarring, blurred vision, partial vision loss, and blindness if the dermal filler is inadvertently injected into a blood vessel. It is recommended that health care providers take care to avoid injection into blood vessels (especially around the forehead, nose and eye area) for these reasons. •	allergic reaction that may lead to a severe reaction (anaphylactic shock) that requires emergency medical help. •	active inflammatory condition (cysts, pimples, rashes or hives) or infection; you should postpone treatment until the condition is controlled. •	The safety of these products is unknown for use in pregnant or breastfeeding women or in patients under 18 years of age. •	The safety is unknown if used with Botox or other wrinkle therapies. 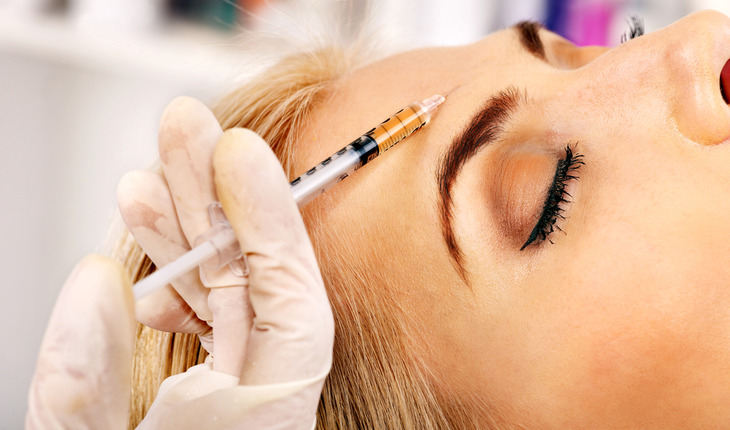 •	You should be able to get patient labeling information on FDA approved injectable wrinkle fillers from your health care professional. •	Know the type of product to be injected and all of its possible side effects. Know where each product used is to be injected. •	Do not buy dermal fillers on the Internet. They may be fraudulent, tainted, and/or harmful. Botox Cosmetic and other botulinum toxin type A products such as Dysport and Xeomin are indicated for treatment of wrinkles. They are injectable drugs, but not dermal fillers. They work by keeping muscles from tightening so the wrinkles don’t show as much. FDA has approved these products only for the temporary improvement in the appearance of frown lines and crow’s feet.